* More than 75 Denali expeditions (20,320 ft.). * Extensive climbing, trekking, and skiing trips throughout the Wrangell, St.Elias, Alaska, and Fairweather ranges in Alaska. * More than 90 expeditions to Aconcagua (22,829 ft.) in Argentina. * Climbing expeditions and treks throughout Nepal, Bhutan, and Pakistan. * Sea kayaking expeditions throughout Alaska, Mexico, Honduras and Greece. * Guided technical climbing on objectives as varied as Ama Dablam (22,493 ft) in Nepal’s Everest region, and classic alpine rock routes on Patagonia’s infamous towers. * Exploratory sea kayaking expeditions to Dundas and Taylor Bays in Glacier Bay National Park. * 30-Day ski mountaineering trip from Skagway to Juneau Alaska. This was the 1st crossing of the Juneau Ice Cap from this direction. * 25-day ski mountaineering trip from Mt. Fairweather to Haines Alaska crossing the remote Fairweather range. * Climbs and treks throughout Greenland. * Trekking in the Bale Mountains of Ethiopia. * Treks throughout Chilean and Argentine Patagonia. * Expedition to Broad Peak (8000 meters) in Pakistan. * Cultural treks in Guatemala, Ecuador, Nepal, Pakistan, Greenland and Africa. * Rafting trips in Pakistan, Alaska, Nepal, Africa, and Costa Rica. * Multiple Climbs of the volcanoes of Ecuador. * Expedition to Bogda Feng in Xinjiang, China. * Multiple climbs of the volcanoes of Mexico. * Training of US Army Special Forces in the Wasatch Mountains of Utah. * Canoe trip down the Yukon River to Dawson with a team from National Geographic. The article is in National Geographic Adventure Magazine’s March/April 2001 issue. * Expeditions to Mt Elbrus in Russia. * Over 150 ascents of Mt Kilimanjaro. * Multiple Ascents of Mt Vinson in Antarctica. AMG and MGI have over 50 guides. Below is a partial list of these special individuals. Sean is the Executive Director and has been instructing and guiding for 30 years. He is an international climbing guide with more than 75 ascents of mountains over 18,000 feet (5500m) including an alpine style climb of Ama Dablam in Nepal and a new route on Aconcagua in Argentina. He has led extensive skiing, rafting and trekking expeditions throughout North and South America, Africa and Asia. Eli is the General Manager. He has guided and instructed for more than 15 years throughout North America, Alaska, Mexico, Ecuador, Peru, Aconcagua, Kilimanjaro, and China. 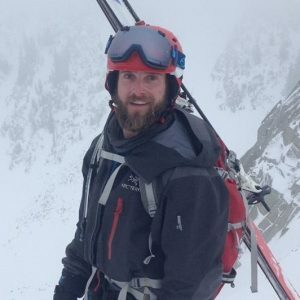 He is a certified EMT II, holds a Avalanche Level III and is an accomplished teacher.Eli has led many of our heli-skiing, mountaineering, first aid and rescue programs over the years. Rob has a B.S in Outdoor Education from the University of New Hampshire and has led expeditions in North and South America, Africa, and Asia. 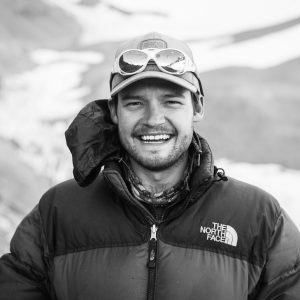 Robby is a licensed Alaska State EMT and certified WEMT and is the Expedition Manager for Mountain Guides International. An avid skier and climber, Charlie leads trips in Alaska, South America, and Africa. Charlie is an EMT; AVPRO certified and has Swift Water Rescue training. When not leading trips with MGI you’ll find him ski patrolling in the Pacific Northwest. Charlie is our Expedition Coordinator and can be found working in the office, managing the warehouse, or guiding in field. Equally at home on the high peaks of South America or the granite cracks of Utah, Brian is an EMT and has been leading AMG and MGI trips since 2005. 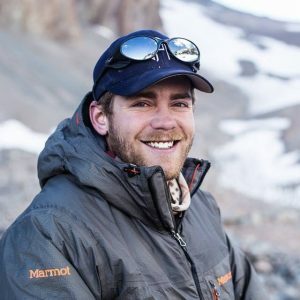 He brings a wealth of skill and experience from instructing and guiding on Kilimanjaro, Aconcagua, the Cordillera Blanca, the volcanoes of Ecuador and Mexico, and peaks throughout Alaska. Bob is a whitewater pioneer. He has over 30 years of experience in whitewater rafting, kayaking and canoeing.He is a Rescue 3 International instructor, a raft guide examiner, and a canoe and kayak instructor. When he isn’t leading whitewater in the Yukon, Bob can be found teaching courses in Nepal and Ecuador, or leading personal expeditions in Chile and Africa. Tatiana has earned her Masters in Teaching and is certified in OEC, EMT, Avalanche Level II, and Swift water rescue. She leads programs in Nepal, ski mountaineering programs in Alaska, and whitewater rafting and backpacking courses in the Yukon. She patrols Alyeska ski resort during the winter season. Tatiana also teaches Wilderness First Responder Courses. John brings his high altitude experience and broad knowledge of local culture to the MGI Tanzania programs. John is a fully licensed Kilimanjaro guide with over 200 ascents. He is a passionate supporter of education and community service on the mountain and in his home town of Moshi, Tanzania. Meredith grew up in Hong Kong and moved to Park City, UT to pursue skiing. She is a professional skier and competes internationally. She instructs AMG mountaineering, ski, mountaineering, and ice climbing courses in Alaska and Utah and guided on Kilimanjaro. Meredith is also an EMT. Nic has climbed the seven summits. Nic also leads high altitude trips in South America and Africa. 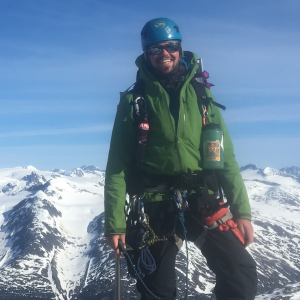 Originally from the farmlands of Minnesota, Nic brings his healthy appetite and attitude to mountaineering and ice climbing courses throughout Alaska. Tim grew up rock climbing on the famed quartzite of the ‘Gunks in New York. This passion has taken him throughout the Northeast, Colorado, Utah, Alaska, and Germany. Tim can be found guiding climbing, mountaineering and ski mountaineering courses for AMG. He is an EMT, WFR, and carries a level 1 AIARE avalanche certification. Will has climbed on 6 continents and traveled to more than 40 countries. He instructs IWLS mountaineering courses throughout Alaska and Argentina, in addition to a significant climbing experience around the world.He is a collector of stories and is truly “living the dream”. Caleb is a passionate rock, ice, and alpine climber with numerous ascents of Mt. Kilimanjaro, Mt. Kenya, and Aconcagua and has traveled extensively throughout South America. He is also an EMT and Wilderness First Responder. When not guiding AMG & MGI trips or traveling the world he lives in Reno, NV. Rafael leads MGI mountaineering & climbing programs in Ecuador. He has led expeditions in Alaska, the Himalaya, and throughout South America. He’s led hundreds of trips above 18,000’and is an accomplished teacher and guide with over 30 years of experience. An active rock/ice climber and mountaineer from Helena, Montana Timmy leads high-altitude mountain expeditions in Argentina and Nepal. With ascents on Aconcagua, Denali and Mount Fairweather, Tim is at home on the big mountains. Timmy has AIARE level 2 avalanche training and is a Wilderness First Responder. Aaron is a enthusiastic climber and mountaineer. With multiple ascents on Aconcagua and hundreds of rock and ice routes throughout the United States and South America under his belt, Aaron is equally at home on the sharp end of a line or at over 18,000′. Aaron is a licensed State of Alaska EMT. 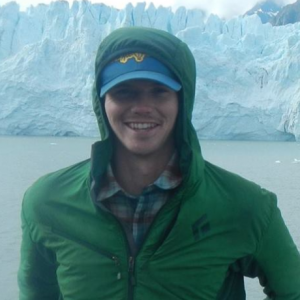 Tyler is an accomplished ski-mountaineer and climber who has successfully traversed the Patagonia Ice-cap. As a climber, Tyler has lead trips in North and South America as well as New Zealand. Tyler is Avalanche level-2 certified and a Nationally Registered EMT. Ken is a passionate trekking guide who has lead multiple international boundary treks between the United States and Canada as well as having instructed technical mountaineering in Alaska and South America. With a technical skill sets in both swiftwater and the mountain terrains, Ken continues to exceed clients expectations. Ken is a certified Wilderness First Responder.